INDIANAPOLIS (January 4, 2016) — Klipsch, a tech-driven audio company, announced today an anniversary partnership with Capitol Records, one of the world’s preeminent record companies and the first label established on the West Coast. 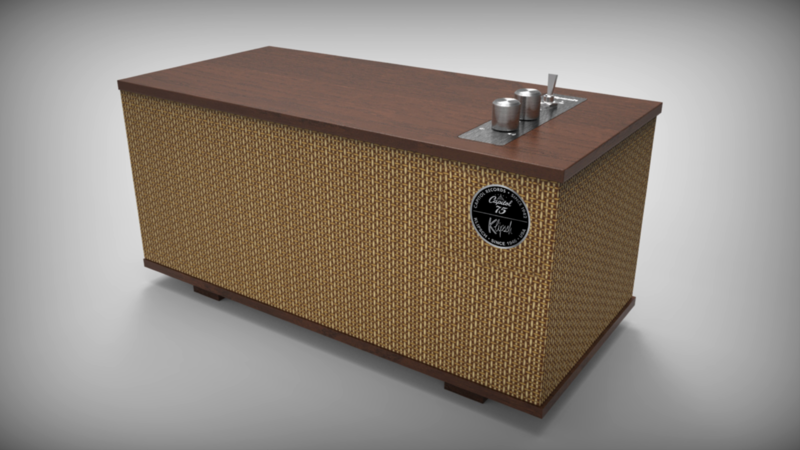 Klipsch is celebrating 70 years of bringing the power, detail and emotion of the live music experience into homes as Capitol Records celebrates 75 years of extraordinary music luminaries past and present. The partnership includes special edition co-branded Klipsch and Capitol Records Heritage Wireless products which feature mid-century modern design, legendary Klipsch sound and the latest technology. The Capitol One, the Capitol Three and the Capitol Heresy speakers will be available through select retailers beginning in 2017 and include a special edition cobranded anniversary logo and select materials. Capitol Records year-long 75th anniversary celebration includes extensive projects that pay tribute to Capitol artists spanning the past eight decades and shine a spotlight on their historic contributions to music and popular culture. Part of the celebration includes The Capitol Records 75th Anniversary Collection which features albums, selected based on different eras and musical genres, best sellers, influential works and lesser known gems. The Capitol One, designed to be a semi-portable tabletop speaker, is a 2.1 stereo system featuring Bluetooth® wireless technology and analog audio input connections. The product is biamplified and professionally tuned by Klipsch engineers for superior sound. The One features two 2 ¼” full range drivers and a 4.5” woofer to deliver a crystal clear acoustic performance with great bass. The One comes with an 8-hour rechargeable battery and is available in two species of real wood veneer, walnut or ebony. 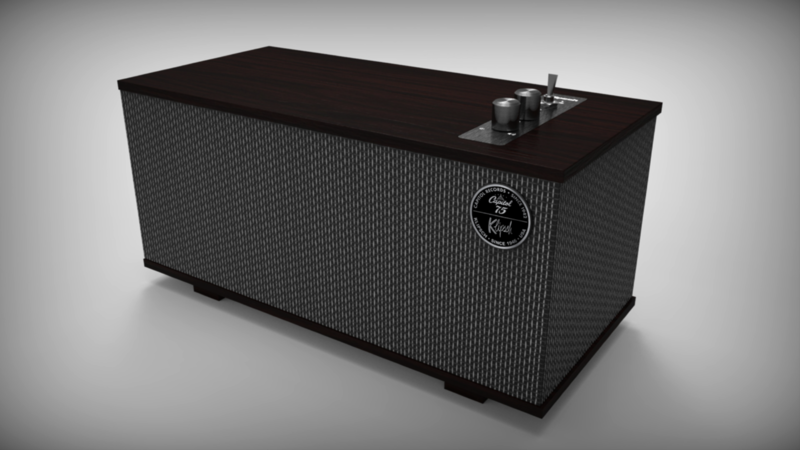 The Capitol Three, a slightly larger sized stereo tabletop system, features two 2 ¼” full range drivers, a 5 ¼” long-throw woofer and dual opposed 5 ¼” passive radiators to deliver enhanced bass and includes a 192kHz / 24-bit digital to analog converter for audiophile resolution. Part of the Klipsch Stream Wireless Multi-Room Audio system (featuring DTS® Play-Fi™ technology), The Three can receive audio input from Wi-Fi, Bluetooth® wireless technology, Analog (3.5 mm miniplug and RCA), phono pre-amp, and USB Type B audio. The Klipsch Stream app, available for iPhone® and Android™, allows consumers to control the system’s operations from their phonesto enjoy popular music services, internet radio and their personal listening libraries. The Three is available in walnut or ebony. The Capitol Heresy includes a cabinet handmade in Hope, Arkansas, with custom anniversary finishes and delivers smooth, dynamic and low distortion sound. The Heresy, first introduced in 1957, started out as a compact center channel speaker to accompany the Klipschorn® in three-speaker stereo arrays. Today, the new Heresy has a more powerful woofer, a bi-wire network, and a titanium diaphragm tweeter with a larger magnet assembly. Since 1993, DTS, Inc., a wholly owned subsidiary of Tessera Holding Corporation (Nasdaq: TSRA), has been dedicated to making the world sound better. Through its pioneering audio solutions for mobile devices, home theater systems, cinema, automotive and beyond, DTS provides incredibly high-quality, immersive and engaging audio experiences to listeners everywhere. DTS technology is integrated in more than two billion devices globally, and the world's leading video and music streaming services are increasingly choosing DTS to deliver premium sound to their listeners' network-connected devices. For more information, please visit www.dts.com. The Bluetooth word mark and logos are registered trademarks owned by Bluetooth sig LLC and any use of such marks by Klipsch Group Inc. is under license. DTS and Play-Fi are registered trademarks of DTS, Inc.